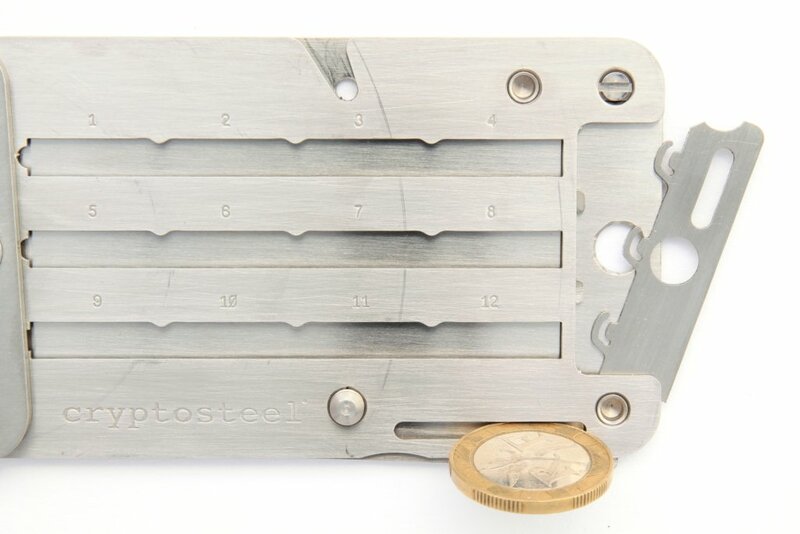 Cryptosteel is the brainchild of Wojtek Stopinski, who himself refers to his invention as “The Ultimate Cold Storage Wallet.” This basically means that it is a perfect way to securely store information from the Internet. 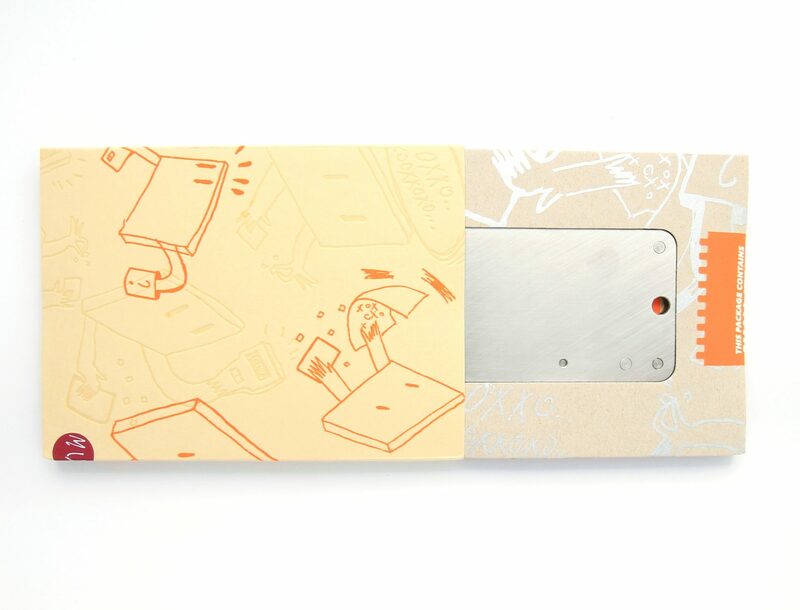 His project was successfully launched in 2015 by a Kickstarter campaign and in collaboration with hardware wallet manufacturer TREZOR. 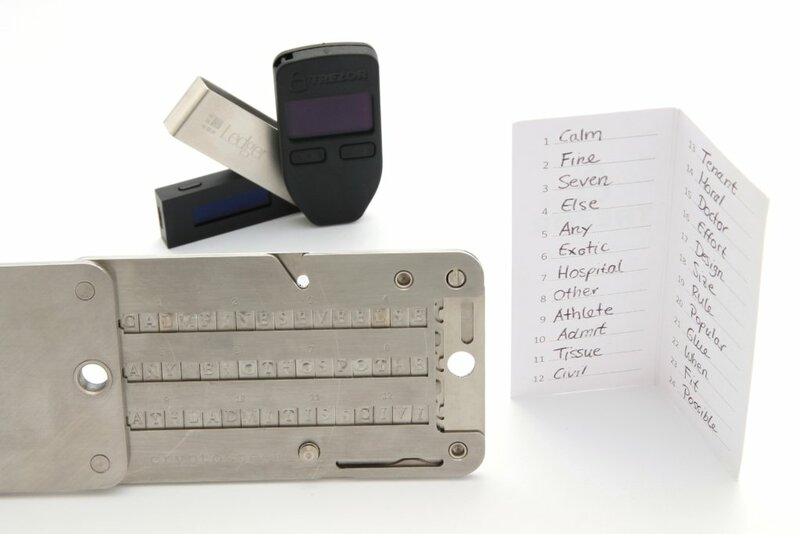 Cryptosteel is a device that allows you to secure information fireproof, waterproof and shock-resistant – an eternal backup tool for any kind of information. 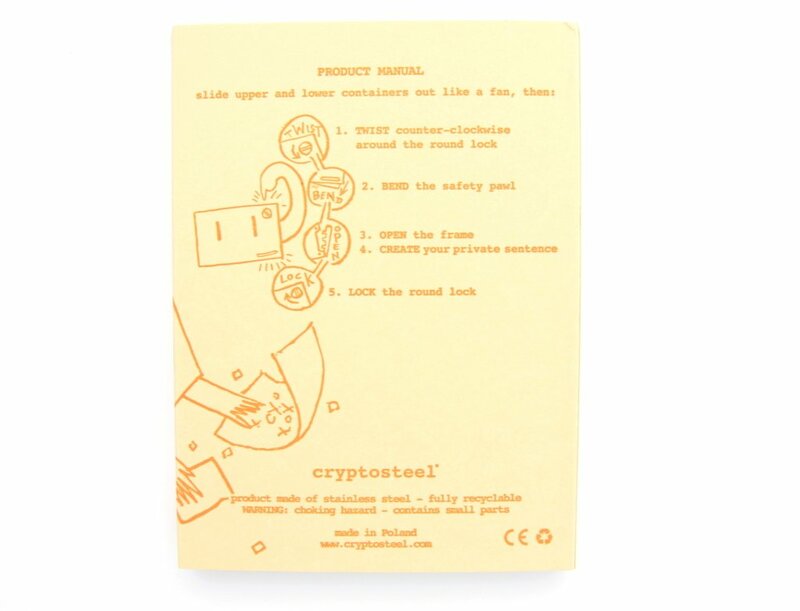 This makes Cryptosteel the perfect companion for a hardware wallet, as they generate a recovery seed that you should keep safe. Because if your hardware wallet is lost or broken, you can restore your cryptocurrencies with the recovery seed! The product and its packaging are handmade on a tailor-made assembly line in Poland. Wojtek’s family has gained experience with metal processing since the 1970s, creating a number of different objects. 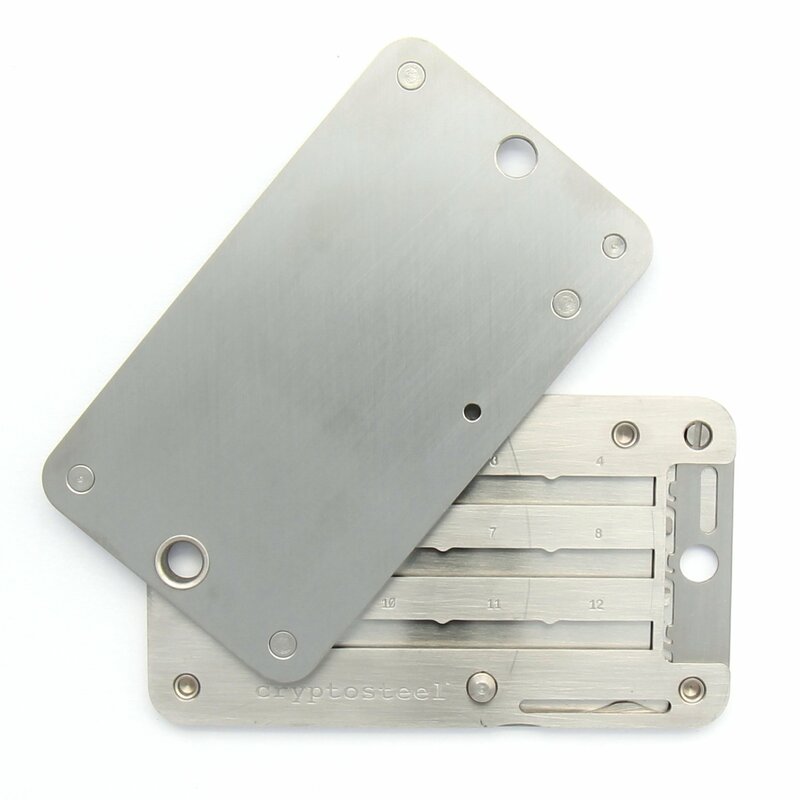 Detailed plans for Cryptosteel can be found on GitHub. 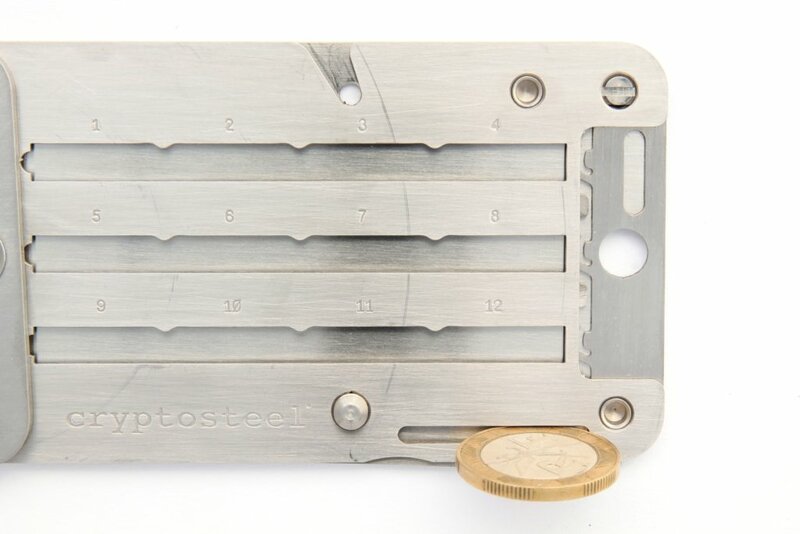 On the first visit to the Cryptosteel shop, I found it difficult to understand the exact difference between the different variations and find the right version for my purposes. There are MNEMONIC, ANYKEY, HEX or MIX, among others. But basically it’s not difficult at all: First of all, you have to realize that the main ingredient is always the same, namely the Cryptosteel itself. Apart from the price, the individual packages in the shop differ only by the attached characters. 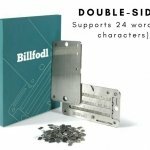 For the storage of the BIP39 Recovery Seeds of a hardware wallet in the form of 24 words, the cheapest set MNEMONIC is completely enough! 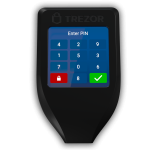 This is also the set that can also be placed in the shopping cart when ordering TREZOR . If you open the simple brown shipping envelope, the beautifully designed cardboard box immediately catches your eye. 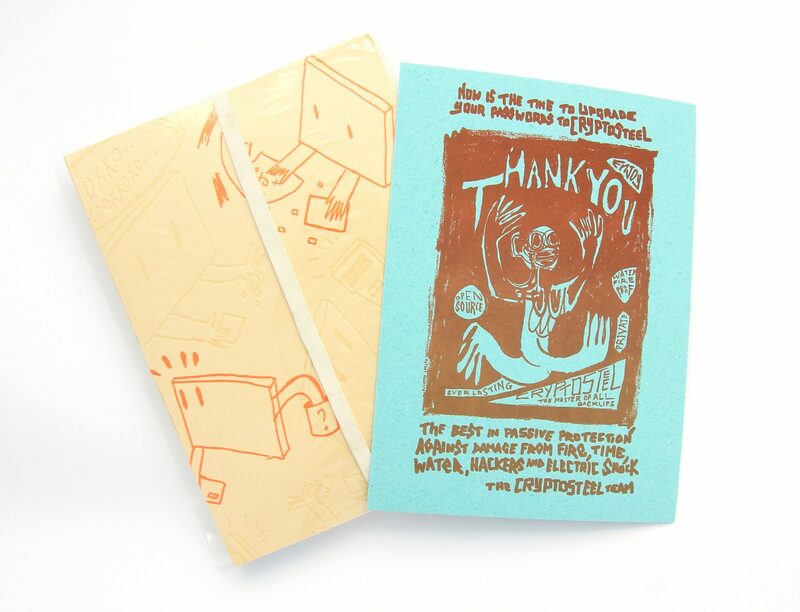 In addition, a blue thank you card from the Cryptosteel team was added to my delivery, which, like all the packaging, was beautifully designed by the artist Rafael Akahira. 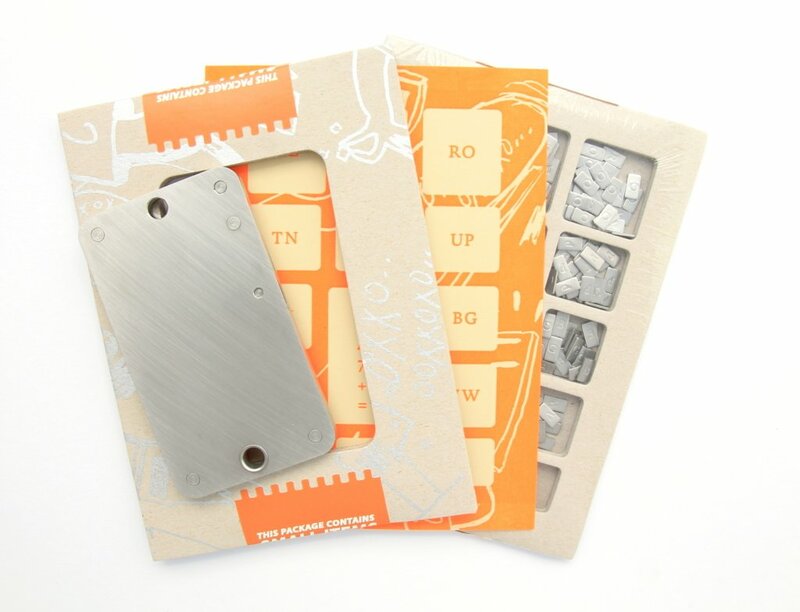 Mutant Letterpress takes over the print by hand! 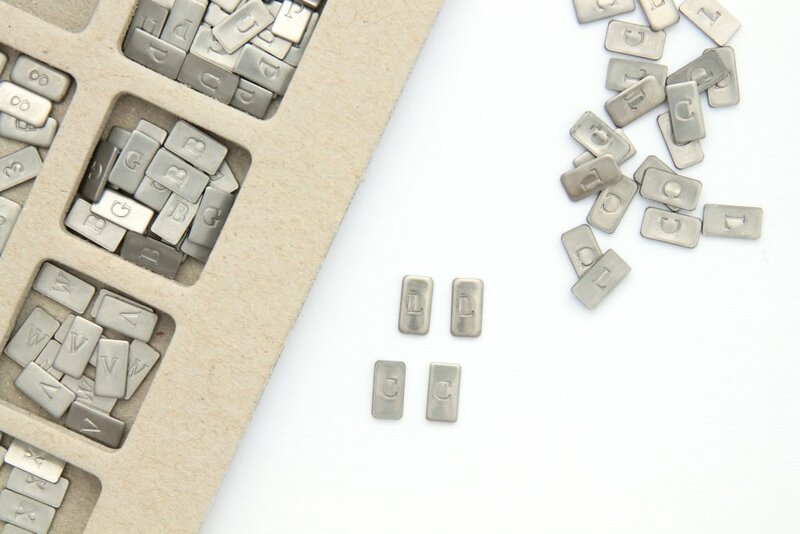 The entire packaging was created from recyclable materials and makes a very good impression on the whole. 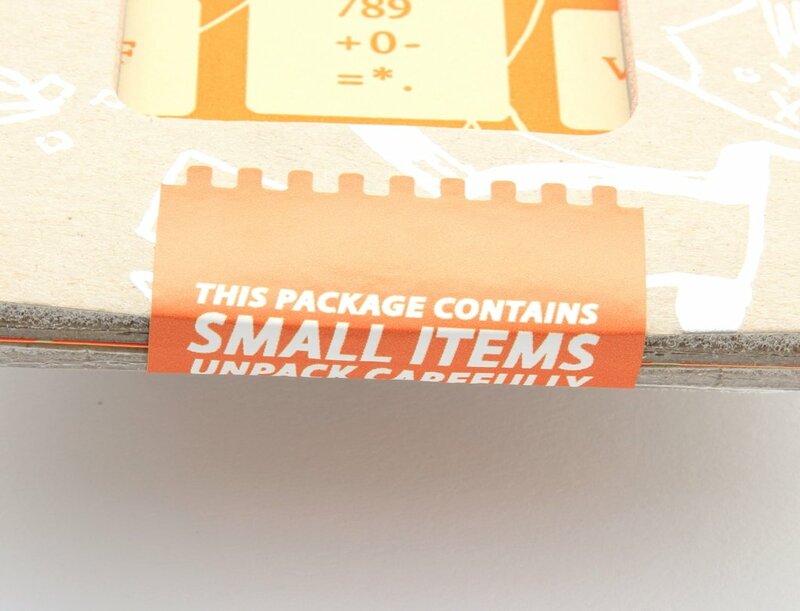 The small sticker at the bottom right of the front shows which package you ordered. In my case, the inventor Wojtek Stopinski provided me with the MIX package. The back contains a short guide to using Cryptosteel and other (warning) hints about the small parts the package contains. It has probably happened more often that all small particles have flown out when opening. If you remove the plastic sleeve of the box, you can push the inside part out. 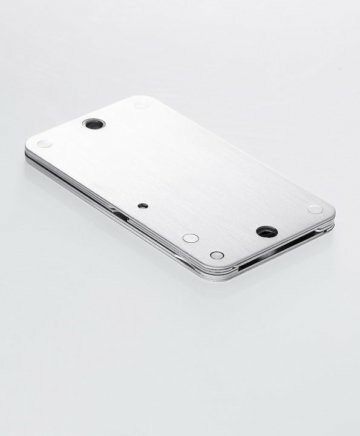 The Cryptosteel itself is located directly on top and can be removed. Cryptosteel, with a size of 105x60mm, is barely larger than a credit card and weighs just over 200 grams. No wonder: Cryptosteel is 100% handmade from stainless steel (AISI 304) . This also makes it feel more stable than a brick. If you look at the metal block from the side, you can see that it consists of different layers. The product can be turned up like a fan by turning counterclockwise. This runs very round and also snaps in through the two bolts. 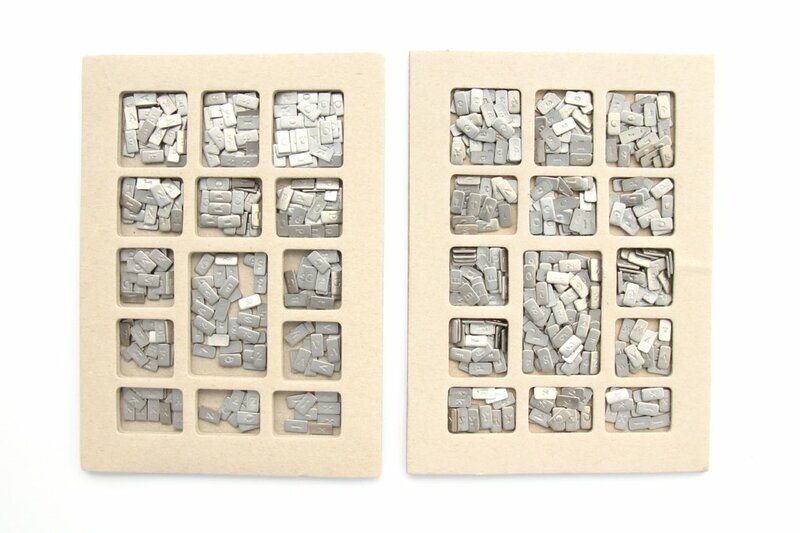 Inside, you can then find space for 12 words with 4 characters each on both sides, resulting in a number of 48 (96) characters in total. These places can be filled with any information that gives the existing character set. Also adjustable, for example, is the storage of passwords or the secret recipe of your pizza dough. The rest of the package is glued by two warning stickers that once again point to the small parts inside. This is to prevent them from falling out when they are opened. 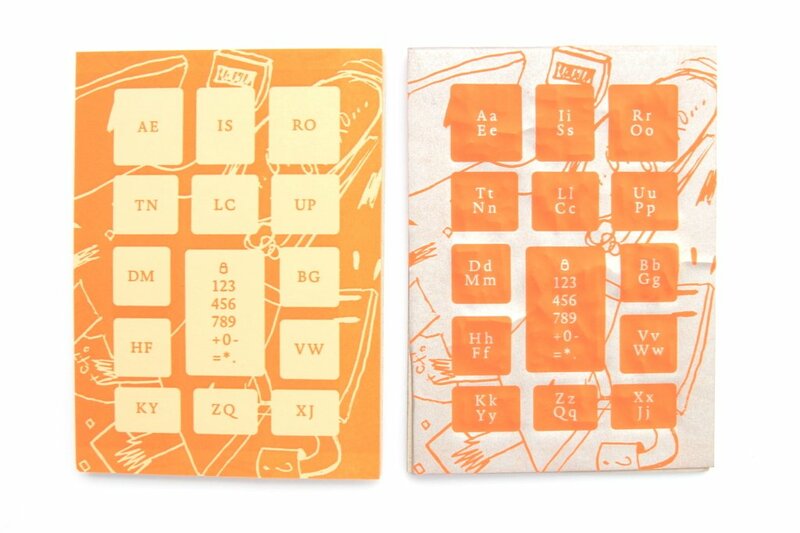 If you cut through the stickers, you will find at the bottom the area where the individual characters are located, which you can later use in the Cryptosteel. These vary depending on the variation chosen. In most cases, the capital letters are sufficient here (Cryptosteel MNEMONIC). 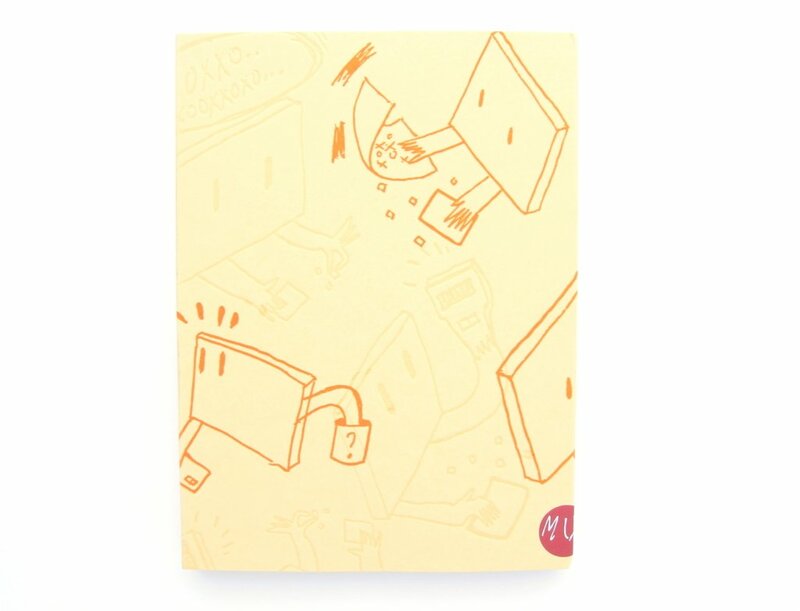 Above it lies a printed note showing which compartment which characters are in. 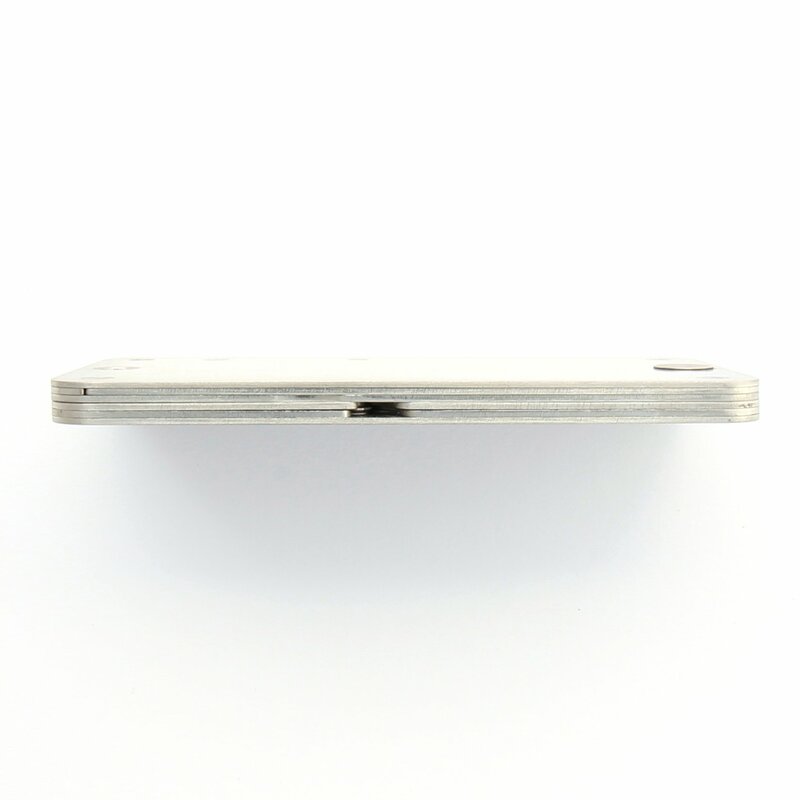 The signs themselves are thumped onto small metal plates, which are usually “printed” on two sides. It is not for nothing that engravings have been the most reliable way to store information in the long term for centuries. In each compartment, the same number of the two letters is at only half of platelets: One letter on the back, the other on the front. As a result, there are still enough letters for each Recovery Seed. Most wallets rely on a recovery seed in the form of 24 words for their backups. Behind this is the standard of Bitcoin Improvement Proposals Number 39. BIP39 allows you to store a recovery lake in a defined list of easy-to-rememberwords. 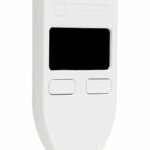 This makes Cryptosteel perfect for hardware wallets such as Ledger Nano S, Ledger Blue, TREZOR, Coolwallet or KeepKey . 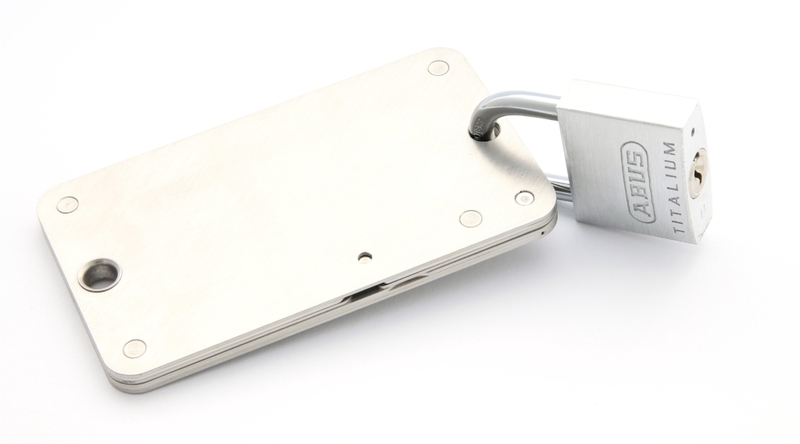 But even BIP32 Private Keys, such as those provided by the Digital Bitbox , can be stored safely with Cryptosteel HEX without any problems. 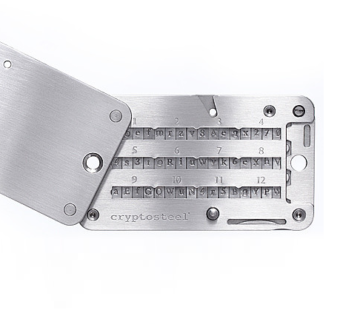 When the Cryptosteel is unlocked, one is able to plug in its characters in turn. 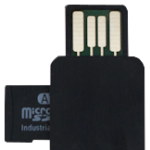 When setting up a hardware wallet , the Recovery Seed was typically recorded on paper. This is much better catered for in Cryptosteel! With BIP39 Recovery Seed in the form of 24 words, it is important to always use only the first four letters. Because the first four characters are sufficient to conclude the correct word of the BIP39 word list. If one of the words consists of only three characters, a fill sign should be inserted (see example above at “Any”). 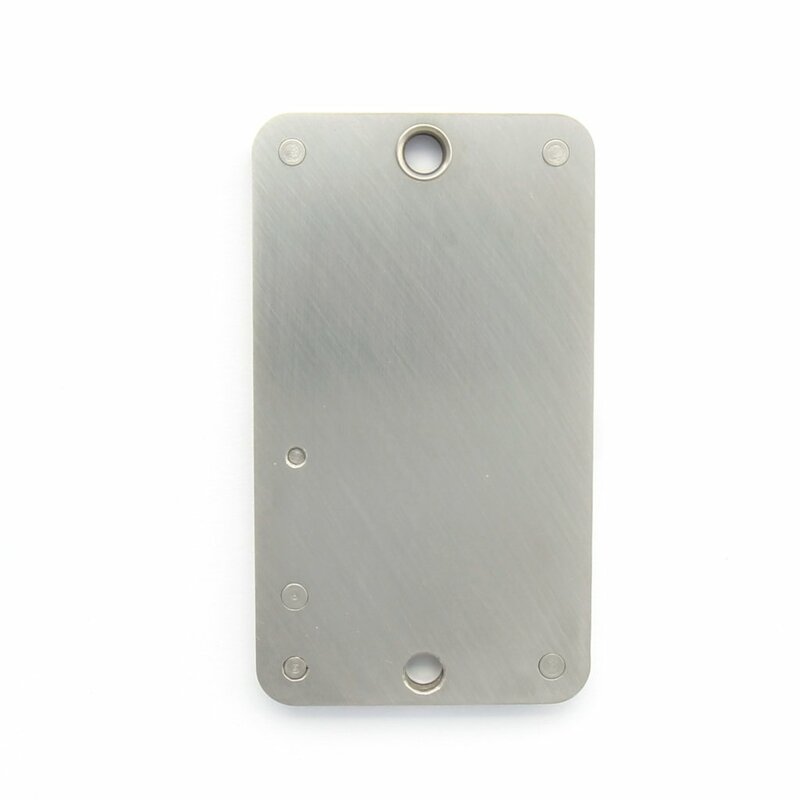 For this purpose, for example, in the subject of the numbers, you can find empty metal plates. As a result, the signs will not slip later. It takes a lot of time to put in, as they need to be pressed into the ranks with a bit of pressure. For this it is best to use a screwdriver or similar, although this can only be done with your fingers. Occasionally, particles intertwine, and picking out the right characters also takes some time. But this is concealed for me, after all, you usually only do the whole thing once. 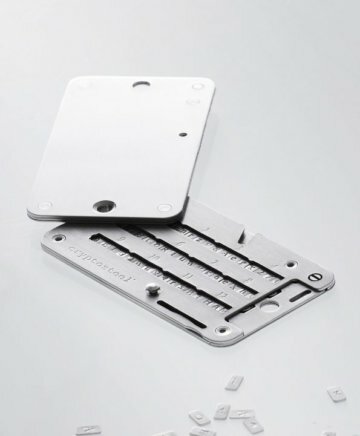 If you want to keep your information absolutely secure inside, you should destroy the remaining characters after inserting them, or at least keep them as safe as the Cryptosteel itself. Because the remaining particles could be used to draw conclusions about the signs used and thus on the stored information in the Cryptosteel. 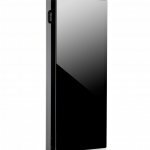 According to his own statements, the information inside up to 1200°C is protected from fire and is waterproof and shock-resistant. In addition, the information is safe from strong electric blows or other disasters, such as solar winds, nuclear attacks or microwave bombs. 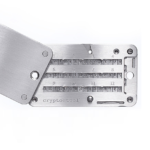 The latter is hard to test by me, but Ofir Beigel of 99bitcoins.com has subjected Cryptosteel to a hardship test as part of its capabilities. And he couldn’t destroy the information inside. 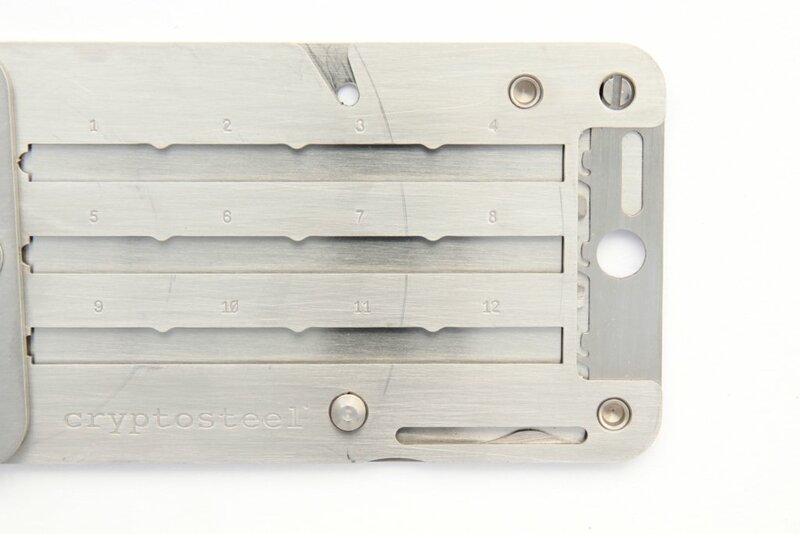 Cryptosteel also makes an extremely robust impression on me, so I like to entrust my information to this tool. 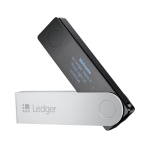 If you manage a large amount of cryptocurrencies with a hardware wallet , you should take good care of your recovery seed accordingly. 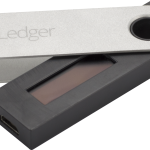 Because this one is the key to all your digital currencies. That is why it is very important to keep it safe. 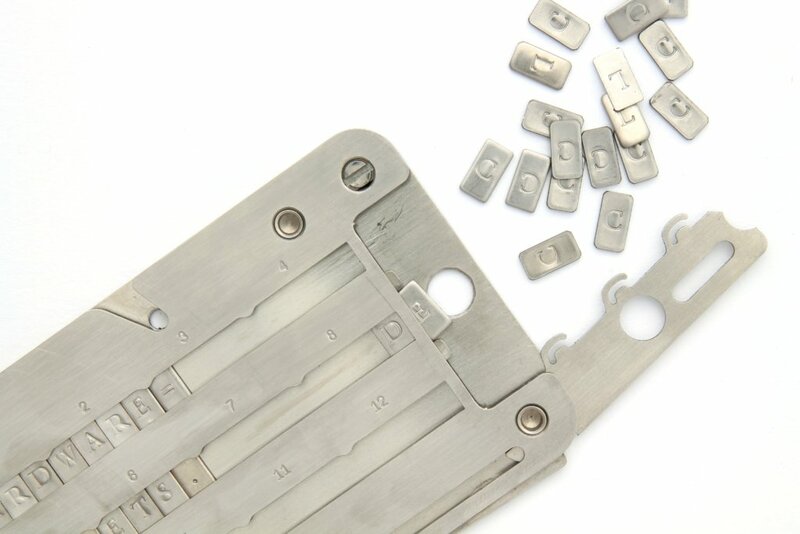 With Cryptosteel, your Recovery Seed can withstand the elements and can also be protected from prying eyes with a lock . The setup takes some time and the price is not low-but Cryptosteel is highly recommended for the optimal storage of the Recovery Seeds. If you are nonetheless dissatisfied, the team at Cryptosteel offers a Lifetime Satisfaction Guarantee. 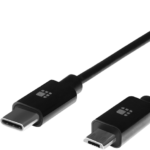 This allows you to return your device for life without further inquiries. 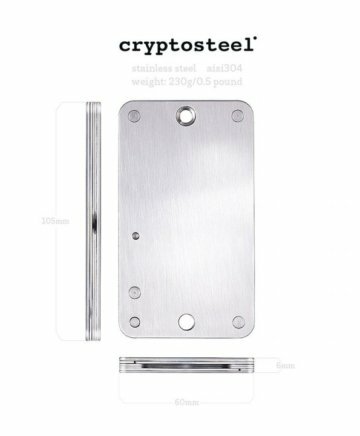 You already have experience with the product "Cryptosteel"? Then I am looking forward to your rating!